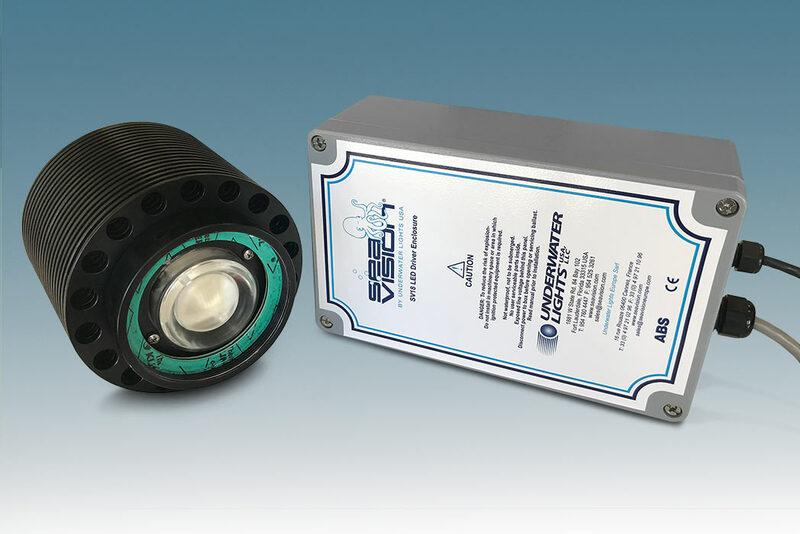 Yachts with the older style SV14 HID underwater lights now have the option of being retrofit with current fixtures with the latest in LED technology. Sea Vision offers a direct replacement for their HID lights which retains the existing thru hull assembly and allows the exchange to be accomplished without hauling the Yacht. This LED replacement utilizes the latest High Density LED chip technology and now incorporates a silicone optic, a first for the industry. This optic envelops the LED preventing contact with moisture and increases the light output by 30% when compared to the equivalent HID. This is a great advance in LED underwater lighting as moisture is a common cause of failure. The fixtures will retain their present ABS, Lloyds or RINA approvals and the heat sync/secondary containment has been approved and tested to meet the new L.R. pressure tests for installation without additional cofferdams, also a first for the industry.